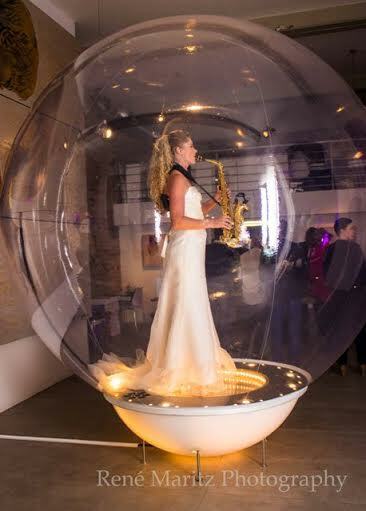 The statuesque saxophonist in a white gown would have been impressive enough, but the sheer visual impact was dramatically increased by the fact that she was encased in a big bright bubble. As guests entered the Youngblood Arts and Culture Development Centre in Bree Street, the bubble – an original staging concept which bathes the performer in light – caused a distinct stir as Judy Brown played a pleasant mix of jazz and classical music, steadily and tastefully underlined by electro beats from DJ Lovechild. Mixing classical and electro music is the bold and effective concept behind CODA Africa – the highly accomplished South African ensemble consisting of Zami Mdingi (vocals), Galina Juritz (electric violin), Carol Thorns (electric cello), Judy Brown (saxophone) and DJ Lovechild. The one hour show consisted of an eclectic combination of original songs composed by the band and well-loved tunes ranging from Mozart to Coldplay. Needless to say the unique blend of music appeals to a broad audience, and the dazzling ensemble delighted the crowd that had gathered in the stylishly lit three-storey arts venue. Not only did each band member display meticulous skill and virtuosity, but a degreee of relaxed professionalism, charm, and elegance that was truly impressive. Youngblood’s chic yet trendy ambience, the carefully chosen range of food and drinks on offer and the unusual mélange of CODA Africa’s songs complemented each other perfectly to create a uniquely enjoyable Cape Town evening. 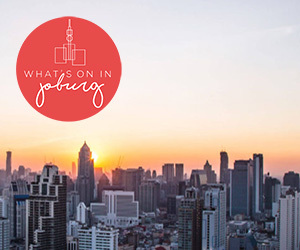 CODA Africa performed at the Youngblood Arts and Culture Development Centre, Cape Town, on 23 April 2015.